Bromocriptine is a drug, a stimulant of central and peripheral dopamine receptors D2 (a semisynthetic derivative of ergot alkaloid). The drug actively affects the circulation of dopamine and norepinephrine in the central nervous system (CNS), reduces the release of serotonin. In connection with the stimulating effect on the dopamine receptors of the hypothalamus, bromocriptine has a characteristic inhibitory effect on the secretion of the hormones of the anterior lobe of the pituitary gland, especially prolactin and somatotropin. Endogenous dopamine is a physiological inhibitor of the secretion of these hormones. Synthesis of prolactin bromocriptine does not violate. The inhibitory effect on hormone secretion is removed by dopamine receptor blockers (eg, chlorpromazine). Bromocriptine (like apomorphine, also a stimulant of D2 receptors) exerts an emetic effect, reduces body temperature, reduces akinesia caused by reserpine, tetrabenazine, antipsychotic drugs. 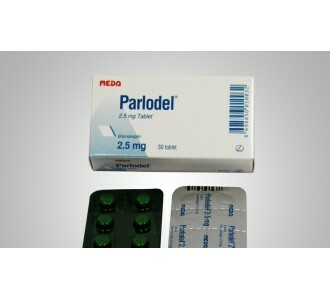 The drug has an antihypertensive effect, associated with the effect on the central nervous system, affects the sympathetic nerve endings and smooth muscles of the vessels. Reduces the blood levels of catecholamines. Unlike ergometrine, methylergometrine and other similar ergot preparations, it does not have a "mother" (oxytocic) action. On the contrary, it inhibits uterine contractions caused by metergergometrin. It is used to treat high prolactin levels.